This post has been sponsored by Dr Seuss and KidsVuz.com. All the whos in whoville just want to have fun. What better way to do that than becoming Thing two and Thing one! With a little shopping that Thing could be you. So without further ado, here’s Thing one and Thing two! How cute are these Things? I only have two in my house, but when we visited Seuss Landing we were sure to pick up Thing t-shirts for them, and one each for mom and dad too. We love Dr. Seuss and everything he stood for and will never miss an opportunity to celebrate him. My own Thing number 1 loves her new Thing 1 and 2 Deluxe Costume Kids Size Medium by elope. 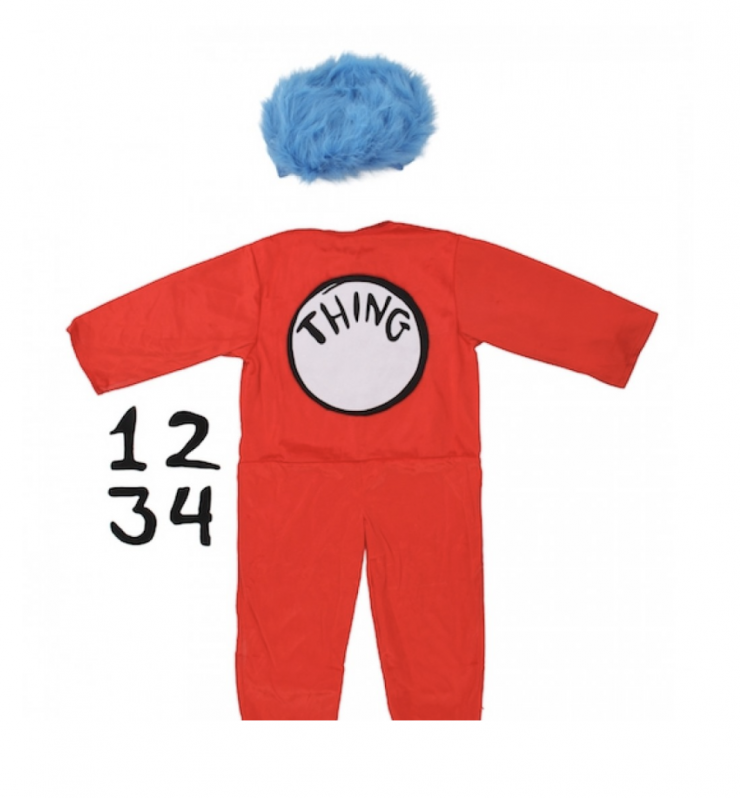 The costume is super comfy and includes not only numbers for Thing 1 and 2 but 3 and 4 as well. They are easily attached and detached which is awesome because when your Thing one outgrows it, the rest of your things can take ownership with their official order numbers. And what thing could be a Thing without the signature fuzzy blue wig? That’s included too! 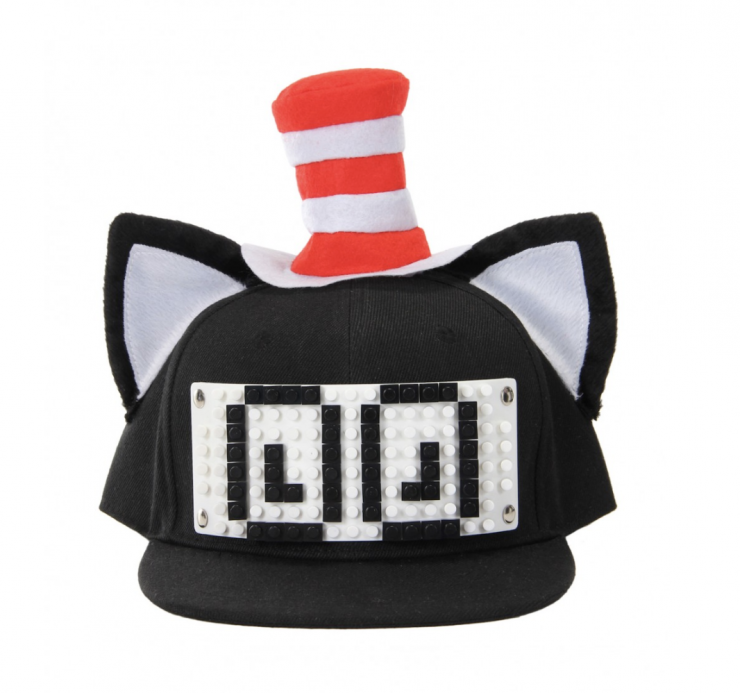 We also received the Dr. Seuss Cat in the Hat Bricky Blocks Build-On Snapback Hat Kit by elope. 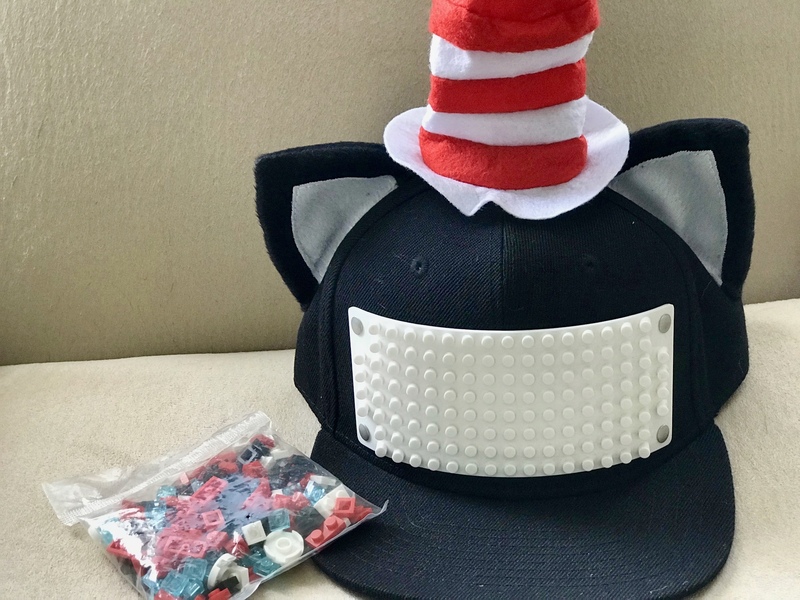 This fun cap includes not only the hat but pieces so that they can create their own designs and messages. There’s a guide included for some inspiration and instruction. It’s not only fit for kids but adults can wear it too! Every year our school celebrates Dr. Seuss week. We also dress like our favorite storybook characters. 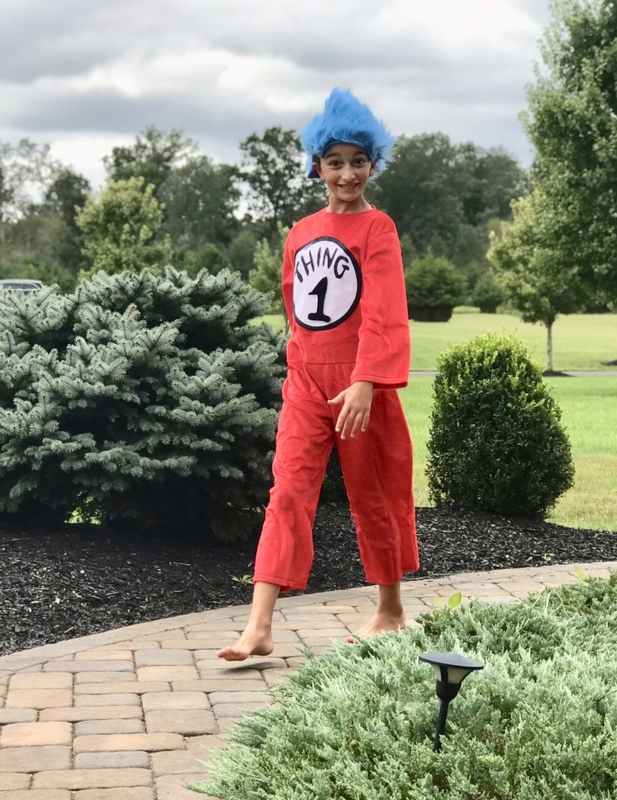 These Dr. Seuss costumes are perfect for both in addition to Halloween or just plain dress-up. Who doesn’t love all of Dr. Seuss’ storybook characters? oh my goodness how cute is this! i love it, and i bet one of my kids would love it too! adorable. I really love these ideas! Dr Seuss characters are so animated and original! My kids love Dr Seuess , this costume looks easy to make as I am not good at crafts. I am going to try it for my son. 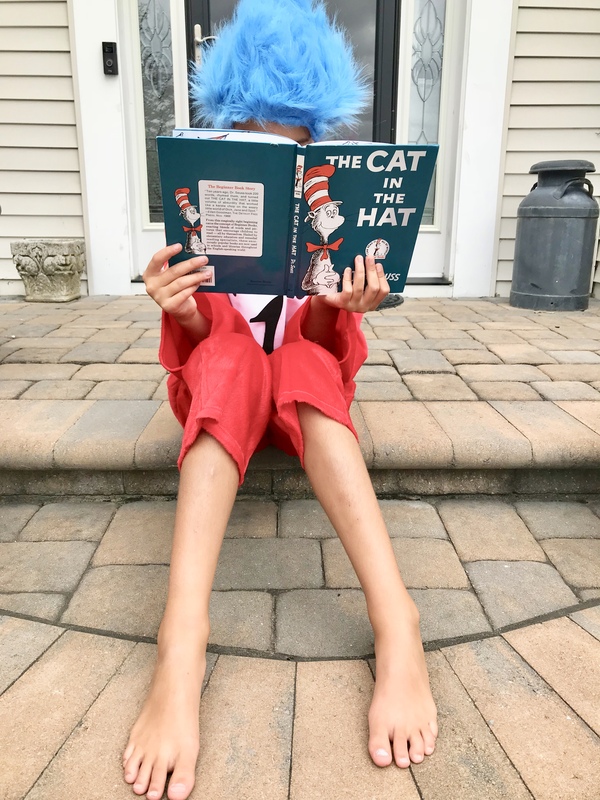 I love Dr. Seuss books and would be introducing it to my little one when he practices reading. He looks absolutely adorable in that costume. Now this looks like a great costume!! I need to pass this on to my sister for my nieces!! IF this cute costume came knocking on my door at Halloween, I would be giving extra candy! My kids always loved Dr. Seuss. This is such a cute Halloween costume idea. The Bricky Blocks hat is great! This costume looks like a fun one to wear with someone and wear it for all of Halloween just for fun.